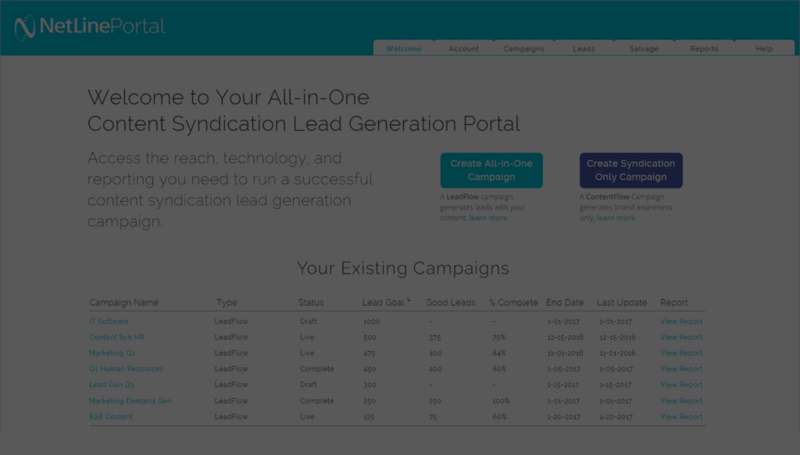 Run targeted cost-per-lead content syndication campaigns, starting at $9 per lead. NetLine was able to generate a consistent flow of conversions each month from good, quality companies – the kind of companies that can excite a client! NetLine makes it so easy. Whether you choose full or self-service, it's simple to see what you want and how NetLine can deliver it. It was a pleasure working with the NetLine team. The lead gen program was flexible and easy to set up. The campaign leads were of high quality and converted above expectation. NetLine has made a huge difference getting our business in front of the right audience to drive warmer leads with prospects ready to learn more about our product. 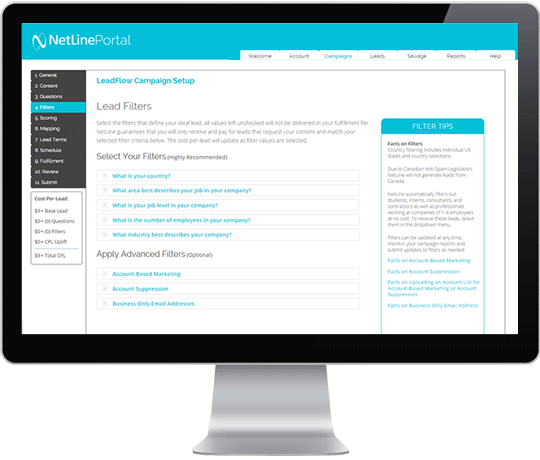 Before NetLine, we had issues paying for poor quality leads, but NetLine's leads do not disappoint. 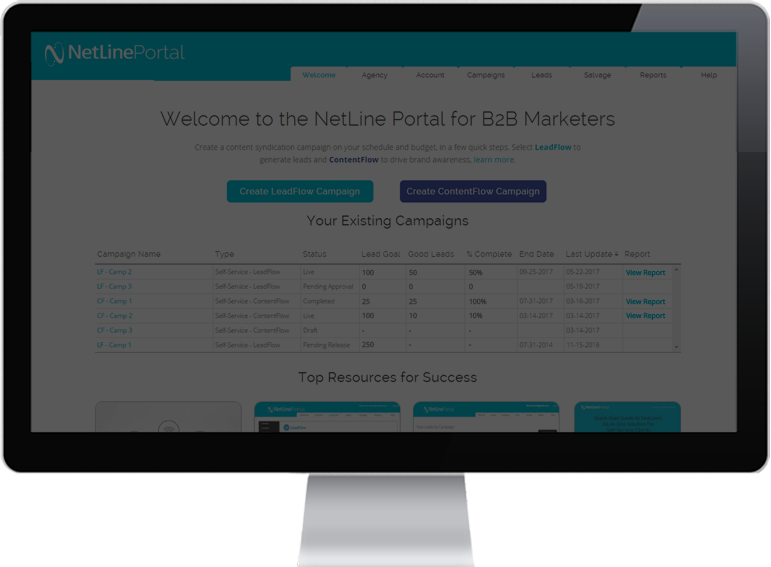 The NetLine Portal has proven to be a great way to generate targeted leads. We have only used the self-service NetLine Lead Flow tool for content syndication, but have found campaigns easy to use and manage. This includes uploading assets, setting lead allocation and lead delivery. The quality of leads each day are consistent and support is always responsive. [NetLine] has enabled us to reach specific verticals on a CPL basis that previously we could only reach with less efficient CPM-based programs. The price point of the platform is absolutely critical to its success. Meet your lead generation goals with content powered performance-based campaigns. Promote your content with the largest B2B content syndication lead generation network to amplify your content campaigns. Acquire net-new quality leads by reaching professionals actively researching business-related topics—using NetLine's proprietary lead form technology. Discover and garner deeper insights from 1st party B2B buyer intent signals with a suite of advanced solutions such as: Programmatic, Full Funnel Acceleration and Multi-Asset. Syndicate your content across the largest B2B lead generation network, starting at $9 per lead. Setup campaigns in minutes by adding your content, setting lead filter criteria, fulfillment, budget, and campaign schedule. Generate leads from professionals that request your content and match your lead filter criteria. 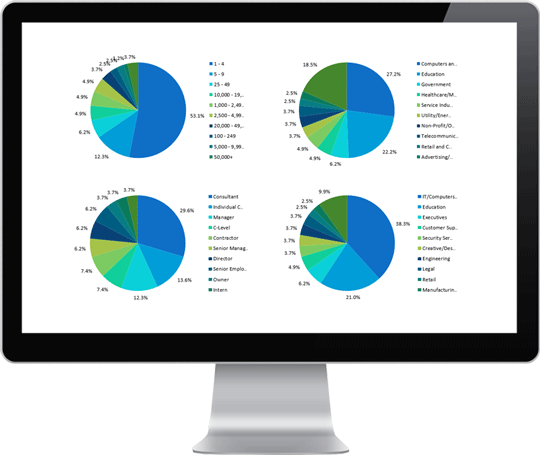 Access and manage multiple campaigns with ease using your campaign dashboard, and monitor real-time lead activity. Updates to your campaign settings are simple with the campaign builder; pause, edit, or clone campaigns at any time—you're in control. Utilize advanced campaign analytics and lead reporting to optimize your lead generation campaigns. 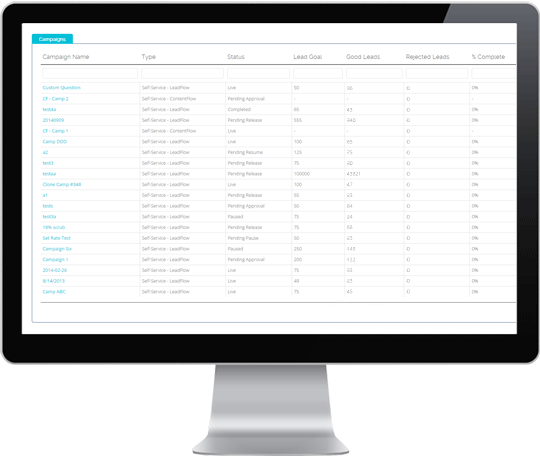 Reports feature lead activity by content and by filter criteria. 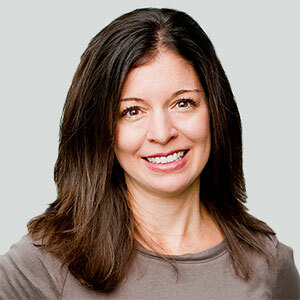 Pivot your strategy as needed to meet your lead generation goals. ITProTV is reaching niche audience of IT Professionals through content-powered lead generation that generated 1,560% ROI. The reporting makes it easy to see with what types of leads my content is having the most success and which pieces are performing best. Sometimes my lead order is filled in just days. That's especially helpful when I'm running out of month and I haven't hit my lead goals yet! Create your risk-free account now, no commitments or credit card required. Looking for more information? Contact our dedicated team of lead generation experts to receive a demo and plan your path to success.